Chandigarh 30th Sept:- Kotak Mahindra Bank Limited (Kotak), today announced that it has executed binding share purchase agreement to acquire 99.49% of equity shares of BSS Microfinance Private Limited (BSS), a Non-Banking Finance Company, classified as a NBFC-MFI, from existing shareholders subject to regulatory and other approvals, including Reserve Bank of India. The acquisition has been approved by the Board of Directors of Kotak Mahindra Bank and is for an aggregate all-cash consideration of Rs. 139.2 crore. As of June 30, 2016, BSS has a net worth of approximately Rs. 73 crore and microfinance loans of Rs. 483 crore in its books. It will be a subsidiary of Kotak after receiving regulatory and other approvals. BSS has a commercially established model in the microfinance segment. This acquisition gives Kotak access to BSS's growing customer base which currently stands at over 2,17,000 and network of 78 branches (as of June 30, 2016). This acquisition offers Kotak a deeper reach in the low income segment, and also increases the access of BSS's customer base to Kotak's wide array of products and services. Further, BSS's loan book also qualifies for Priority Sector Lending (PSL). Kotak and the BSS team will leverage their combined experience to scale up the existing platform. Narayan SA, President, Commercial Banking, Kotak Mahindra Bank, said that financial inclusion is one of the imperatives of our country, and this acquisition is a testimony of our commitment to cater to the needs of weaker sections of society in a commercially viable manner. The capabilities and processes required for this customer segment are unique, and cannot be created easily or organically in a short span. BSS is of the right size, culturally compatible with Kotak, and has proven its processes and value systems over a decade. He added that we will leverage BSS's deep presence in the segment and related experience to ensure that customers' needs are served best and consistent with the past culture. 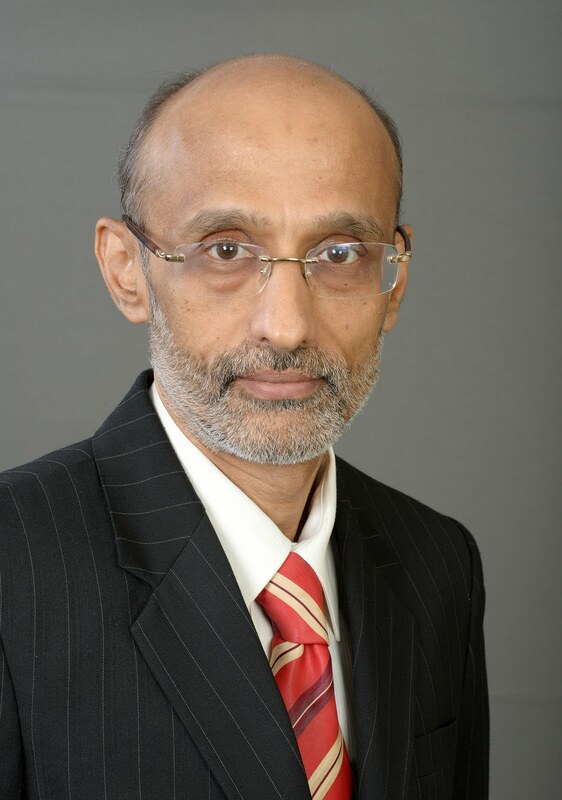 Dr. Ramesh Bellamkonda, Promoter, Chairman & MD, BSS Microfinance Pvt. Ltd. Said that our institution has an excellent team, with good systems and processes. Until now, we have been hobbled with constraints of equity capital. The deal not only helps us overcome this constraint but also allows us to offer savings products in conjunction with Kotak Mahindra Bank, once the deal is consummated. We will now be able to expand, and provide better products and services to both existing and new clients across the country. Chandigarh 30th Sept:- Leading NGOs working on road safety across India came together in the national capital to discuss the Motor Vehicles (Amendment) Bill 2016. The Bill, which was introduced in the Parliament on August 9, 2016, by Union Transport Minister Mr. Nitin Gadkari, aims to fill the gaps in the legislative framework that governs road safety in the country by amending the 28-year-old Motor Vehicles Act, 1988 (MVA).On August 16, the Bill was referred to the Parliamentary Standing Committee (PSC) on Transport, Tourism and Culture for its review and recommendations. During the two-day conference held in New Delhi, the organizations expressed appreciation for the Government's commitment to introduce a strong road safety legislation in the Parliament, while urging that the Bill be further strengthened and passed in the winter session without delay. The NGOs discussed the provisions of the Bill and arrived at a unanimous view that the Bill is a significant step forward, while also highlighting specific policy gaps that still needed to be addressed. Piyush Tewari, Founder and CEO of SaveLIFE Foundation said that as road safety advocates, we welcome the introduction of the Motor Vehicles (Amendment) Bill 2016. The Bill addresses various crucial safety elements such as child safety, improvements in driver licensing system, provision for electronic enforcement, and rationalization of penalties for various life-threatening offences.The provisions related to globally recognised road safety risk factors should be further strengthened in the bill. We urge the standing committee to address these gaps and submit its report at the earliest so that the Bill can be passed in the winter session. The organisations that participated in the conference included Consumer Voice (Delhi), Centre for Road Safety-Sardar Patel University of Police, Security and Criminal Justice (Jaipur), Citizen Consumer and civic Action Group (Chennai), CUTS International (Jaipur), Institute of Public Health (Bengaluru), Parisar (Pune), and Save Life Foundation (Delhi). During the discussion, the group strongly urged the PSC to comprehensively address safety of children during commute. Ashim Sanyal, Consumer Voice, a Delhi based non-profit, said that in its report to the Parliament, PSC should recommend inclusion of mandatory use of child restraint systems in line with recognised safety standards, as well as provisions to ensure appropriate headgears for children under 4 years of age on two-wheelers in order to protect millions of children who use roads every day in India. International experts on road safety from the Global Road Safety Partnership,a hosted project of the International Federation of Red Cross and Red Crescent Societies, which participated in the conference, supported the Government of India's recent efforts to improve the country's road safety legislation. Dave Elseroad from the GRSP, stated that while the immediate passage of the amendment to the Motor Vehicles Act is an important step, sustained political support for its implementation and enforcement is vital to reduce road crash fatalities and serious injuries in India. Given that over 13 lakh people have been killed in road accidents in India in the past decade, of which 1.46 lakh people were killed in 2015 alone, this Bill with key provisions further strengthened will prove to be critical in addressing this epidemic. This is a crucial step towards achieving the target to reduce road crash fatalities by 50% by 2020 as committed by the Union Minister for Road Transport and Highways at the Brasilia Conference on Road Safety in 2015. Chandigarh 30th Sept:- A Short film, "Antim Ichha" is one amongst its series that has been written to challenge negative attitude of the society. The short films sometimes leave meaningful messages for society. Short films are made to guide society. The film is conceived by Hum Akaali Production, film is produced by Shivcharan Singh Bhangoo along with co-producer Jatin Singh Khalsa. This Short Film is directed by Paramjit Ghumaan. The film's writer is Pulkit Kochar and dialogues are written by Parmailjot Benipal and Dharminder Dass Bawa. The film's lead characters played by Jagdish Papra, Jasbir Kaur, Gurpreet Singh and Parmailjot Benipal. The music of this film has given by Pargat Ghumaan whereas the songs are written by Sarab Ghumaan. 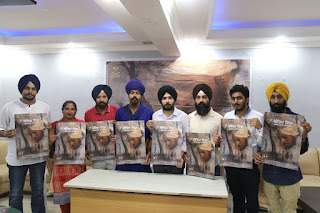 Film is an unique concept, where the main Character of this film Amarjit is weighed down by heavy load of bank loans which he is unable to repay. In this crisis situation, even his own family and society is against him instead of giving their support. Amarjit is struggling with life circumstances, but the actions taken by bank leaves him with a broken heart. He has discouraged by life, chooses to die. But before dying he leaves a message for the family and society. This film has a message for families, in harmony with the views expressed by Amarjit Singh about today's society for saving precious lives from suicides. The film fights the human psychological and narrow-minded members to help move a positive message that the whole family should feel the burden of his personal and family duties. Short film "Antim Ichaa" has given a positive message to fading relationships and unbalanced society. As of today, we desperately need such films. Chandigarh 29th September:- Punjab Heritage and Tourism Promotion Board (PHTPB) announced a strategic partnership with Stayzilla, India's largest homestay aggregator to boost adoption of homestays and unlock maximum number of rooms during the peak tourist season in Punjab. After signing MoUs with Madhya Pradesh State Tourism Development Corporation, Uttarakhand Tourism Development Board and Tourism Corporation of Gujarat Limited, this tie-up firmly establishes Stayzilla as a leading player in the industry of homestays and alternate stays. The MoU was signed and exchanged in the presence of Navjot Pal Singh Randhawa PCS, CEO Punjab Heritage and Tourism Promotion Board along with Ankit Rastogi, VP Marketplace, Stayzilla and various other Punjab Tourism Department representatives. Under this agreement, Stayzilla will assist PHTPB with verification procedures and jointly boost homestays and unique stays like Farm Stays, Bed and Breakfast and Tented rooms in cities & places of interest within Punjab. All homestays registered with PHTPB will receive technical support in the form of inventory management and software applications to ensure seamless booking procedures. Stayzilla & PHTPB will also jointly conduct educational and training sessions for registered homestays on best practices such as online usage, content management, operations and expense management. 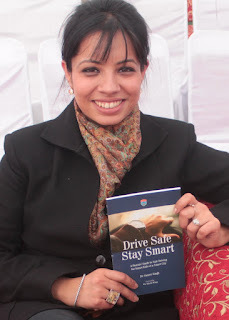 Chandigarh 29th September:- City based young psychologist Dr Guneet Singh, an alumnus of Panjab University Department of Psychology has been appointed as Road Safety Specialist to assist the Government of Rajasthan for implementation of the World Bank Project of road safety. She would be working on the Rajasthan Road Sector Modernization Project funded by the World Bank and would be posted at Jaipur. Dr Guneet is one of the very few specialists in the country who did her doctorate in driving behavior and road safety from Panjab University. She is the author of "Drive Safe Stay Smart: A parent's guide to safe driving for smart kids of a smart city", published by Chandigarh Traffic Police earlier this year, and was teaching the post-graduates in the Panjab Univesity. Dr Guneet has also been working with the Chandigarh Traffic Police, as Traffic Marshal since 2014, as a volunteer, and has been conducting road safety workshops in educational institutions and organisations. She said that road crashes are taking massive toll of human life and property in our country and has attained epidemic proportion that needs to be tackled through a concerted multi-sectoral approach to prevent road fatalities. Chandigarh 29th September:- As many as 300 doctors of Indian Medical Association (IMA) Chandigarh attended a Max Hospital's CME on 'caring for the hearts together- the heart team approach' at IMA auditorium, sector 35 here last night today where new approach towards heart disease treatment was discussed at length. Speaking during occasion, Dr Virendar Sarwal, director & head, Cardio Vascular and Thoracic Surgery, Max Hospital said that rapidly expanding treatment options for heart diseases and procedures such as heart valve repairs, coronary artery bypass surgery and arrhythmia treatment have confused the patient. Talking about the latest concept of 'heart team approach', Dr Virendar Sarwal said that the patient is offered the best possible treatment option (say out of bypass surgery or balloon angioplasty) by getting all the medical reports reviewed by a team of experts which include cardiothoracic surgeons ,cardiologists and physicians. Under this latest approach every patient who is stable is counselled by a heart team about the pros and cons of procedure and based on reports he is given the best suitable option of treatment and his informed consent is mandatory. Interestingly 'heart team approach ' is mandatory now in most western countries for any cardiac centre, and in our country all the patients are now encouraged to take opinion from both the cardiologist and cardiac surgeon (after his angiography) while deciding on the intervention for himself after knowing the benefits and disadvantages of the particular intervention. Discussing rapid advances in technology and techniques, Dr Virendar Sarwal said that these remarkable breakthroughs mean a new concept of patient care , bringing together interventional cardiologists, cardiothoracic surgeons and other experts under one roof to evaluate each patient and design customized treatment plans to meet specific patient needs. This approach not only improves outcomes and overall patient satisfaction, it ensures wholesome care for the patient. In surgery too, options which reduce trauma of surgery with less invasive technique like Beating heart bypass surgery , robotics are preferred by doctors. Aesthetic considerations, like minimally invasive techniques, also factor in especially in females. 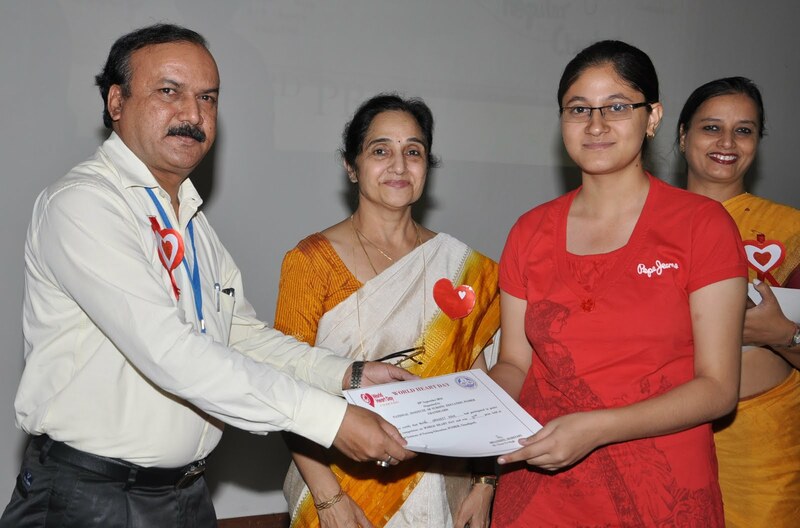 Chandigarh 29th September:- World Heart Day was celebrated under the guidance of Dr. Sandhya Ghai, Principal, National Institute of Nursing Education (NINE), PGI and co-ordinated by Ms Neena Vir Singh, Lecturer, NINE, PGI on 29th September 2016. Different activities were carried out on the occasion like public awareness program by M.Sc. Nursing 1st year students and NSS Volunteers of NINE educated public in main OPD of PGI regarding prevention of heart diseases and made them aware of healthy heart habits. There was an interactive session where teachers and volunteers cleared the misconceptions and doubts of general public related to diet and other issues. Poster making competition was also held. A program was organised in NINE auditoriums where volunteers performed role play, presentation on healthy heart habits, and a Quiz on the theme "power your life". The occasion was graced by Dr Ashok Kumar DMS, PGI and Dr Mahesh Devnani Asst.prof. Hospital administration. Dr Ashok emphasised on the importance of Healthy life style. Dr Sandhya Ghai motivated students to live a heart healthy life. The whole program was organised under the supervision of faculty NINE- Dr Monika Dutta , Mrs Prabhjot kaur, NSS program coordinator Mrs Meenakshi Agnihotri , and Program officer Dr Sukhjit kaur. 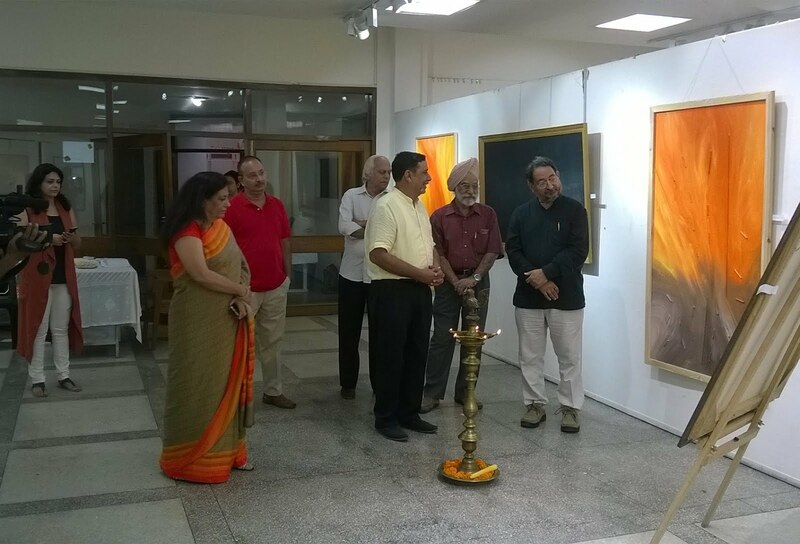 Chandigarh 29th September:- An exhibition of abstract art titled 'Expressions 3' by Hemant Malhotra opened at Punjab Kala Bhawan, Sector 16, here today. The exhibition will continue till 2nd October from 11 AM to 7 PM every day. Eminent Artist and Poet Mr Ravinder Kumar Sharma, Professor, Govt College of Art, Chandigarh, inaugurated the exhibition. Featuring 60 works of art, comprising oil and acrylic paintings on canvas and paper, as well as a selection of photographs, this exhibition is a follow up of Hemant's previous solo exhibition in November 2014. The highlights of this year's exhibition are three series of paintings. The first series is titled 'Scapes' and comprises a number of works titled 'Landscape', 'Skyscape', 'Desertscape', etc. The different 'Scapes' are interpreted through the use of varied colours, strokes and materials. The second series, titled 'Waves' is based on the beautiful forms and colours of waves at different times of day, seasons and locations. Finally featured is a section devoted to the Buddha - consisting of six paintings and three photographs depicting the Buddha and some of his teachings? Hemant uses a wide variety of media in this set of works – combining them quite elegantly and naturally. His work continues to be accessible and easily understood, with a very clear expression of the underlying thought and emotion. According to Prof. Ravinder Kumar Sharma that Hemant has a great sense of composition and balance. He uses different mediums along with the basic elements to create new textures and has a great sense of art." Hemant Malhotra has been painting from an early age. His education was a mix of Commerce and Arts. He is also an alumnus of The Doon School, Dehradun. 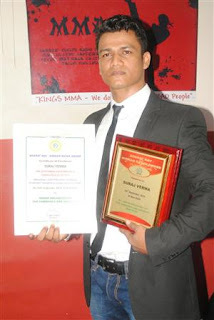 Professionally, he has worked for several years as an IT specialist officer with the Indian Overseas Bank. He lives in Chandigarh. Chandigarh 29th September:- Starting this season,buying that perfect gift for any festive occasion will no more be a daunting task.To help resurrect the joy of festive gifting, Kraftly, India's leading buy and sell platform for unique products and brands, has introduced a distinctive and special notion 'The Giftree'-to make gifting easier than before. 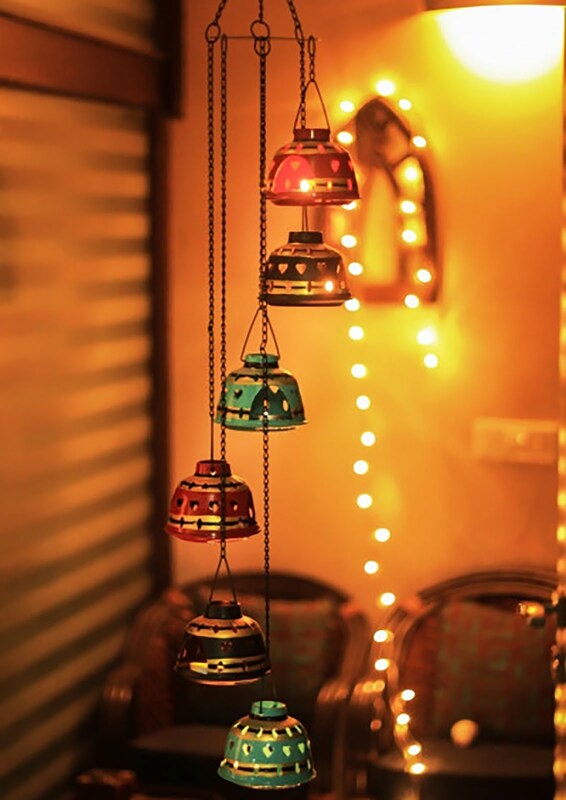 Gifting has always been an integral part of every festival or joyous occasion in India. India's Gift Market is estimated close to $30 Billion dollars. The Indian Handicrafts and Gifts Industry has outgrown its image to evolve into a rapid growing industry with a turnover from US $1.2 million to US$ 1.9 billion in the last decade. Everybody loves receiving gifts, but during the hustle bustle of the festivities, buying the perfect gift for your loved ones has become more of a task and less of a thoughtful experience. Keeping this concern in mind, Kraftly has come up with their vibrant product line 'The Giftree', to help people rediscover the essence and joy of gifting. The idea is to help buyers set their festive shopping worries aside, by giving them curated collections of gifts for that are perfect for every relation. One of their unique sellers Scrapshala, based out of Varanasi, has special customized products curated out of urban trash and their collection of quirky products is bound to be a head turner. Kraftly has a line of other vibrant and unique sellers like Ba No Batwo, Height of designs, Thug Baba, Intelligent Idiots, The Orange Bicycle, Ishttyle Gully, to name a few, which are based out of Bangalore, Delhi and Mumbai. Giftree will offer a wide range of over 2600 products to browse from, to get your perfect desired gift to meet all your festive needs. Speaking about 'Giftree', Saahil Goel- Co-Founder & CEO, Kraftly said that while other players in the industry have come up with initiatives such as offering whopping discounts, we decided to come up with our distinctive line of product segment- 'Giftree'. By bringing in 'Giftree', our aim is to give absolute convenience to our buyers by providing them a one stop destination and taking care of all their festive requirements. With a collection of offbeat products made available, we want to eradicate the hardships of deciding what to gift, by making it easier to choose from a variety of categories available. On this occasion, Akshay Ghulati, Chief Business Officer, Kraftly commented that as we are nearing towards the festive season, everyone looks out for the the best of the best. We at Kraftly wanted to come up with something unique to offer to our customers, and thus introduced this new product line- Giftree. 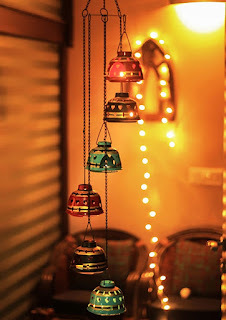 Our festive collection will see exciting line of products under apparels & home decors. Shoppers will be able to choose from a wide range of products & we are excited to provide our customers with the best this season. 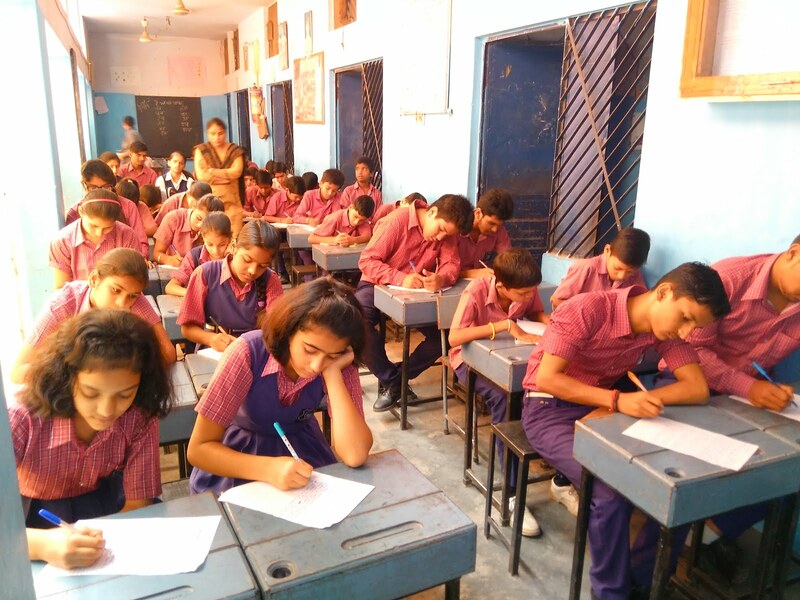 Chandigarh 29th September:- The Eco Club of Maharishi Dayanand Public School, Daria, Chandigarh organized Essay Writing Competition on a Green Consumer Day with collaboration of the Environment Department of Chandigarh on the school premises today. This competition was divided into two categories i.e., junior and senior. Students expressed their feelings on clean environment and about global warming caused by cutting of trees. They stressed to grow more trees for balancing of environment. They told that everyone should purchase products that are eco-friendly. Products with little or no packaging, products made from natural ingredients and products which are made without causing pollution are eco-friendly products. The green consumer should drive a hybrid vehicle; buy products made with hemp or those made from recycled materials. Vishal Singh, Sahil Chaudhary and Vishal bagged first, second, third and consolation prizes in junior category in senior category Surya Prakash Dwivedi, Rohit and Aarti got first, second and third position respectively. Principal Dr. Vinod Kumar gave away prizes to the winners. He said that the main aim of this program was too aware the importance of recycling-reusing and reducing waste material. Chandigarh 28th September: Mondelez India today announced the launch of its new brand Cadbury Fuse, a premium product in the count line category. Cadbury Fuse is a delicious fusion of crunchy peanuts, smooth caramel and a creamy center, all coated in rich Cadbury milk chocolate. Cadbury Fuse is the perfect indulgent bar to brighten dull moments. The launch of Cadbury Fuse will be supported by a 360-degree communication campaign, designed to demonstrate the superior FEAST experience, which will include a new TVC, innovative Outdoor & Digital campaigns, strong in-store visibility and extensive sampling, targeting the brand's core audience–urban youth–who are always on the move and constantly looking for a quick snack, that will not just satisfy their craving but give them the Chocolaty FEAST experience. Drawing on our Cadbury equity, the Cadbury Fuse packaging has distinctive purple with pink and white stripes which gives it a vibrant look that will make it stand out on shelf. Cadbury Fuse will be first available on e-commerce platform Snapdeal, followed by 100,000 traditional trade and modern trade stores in three months. Priced at Rs. 20 and Rs. 35, Cadbury Fuse is all set to give consumers an unforgettable Chocolaty FEAST. Chandigarh 28th September: 1 in 6 men will be diagnosed with prostate cancer in their lifetime, making it the most common cancer in men. Prostate cancer incidence is increasing in India by 1% every year. Hence, the need for greater public education is why September is designated as the Prostate Cancer Awareness Month worldwide, a month dedicated toward engaging and connecting the public, media, academia, and government around a disease that affects us all on some level. Enlargement of prostate gland and its cancer is a part of an ageing process. Highlighting its understanding, prevalence, approach to screening, prevention, treatment options and resources that that offer updated prostate cancer information throughout the year, Dr. Baldev Singh Aulakh, Professor of urology and head of kidney transplant department, Dayanand Medical College and Hospital, Ludhiana held a seminar in press club, Chandigarh. Dr. Baldev Singh Aulakh emphasized on commitment to better prevention, detection, and treatment methods. Remembering the patients that succumbed to this illness, he encouraged one and all to get aware, impart knowledge and offer help to the families struggling with the same. He stressed that there is a need to encourage all citizens, government agencies, private businesses, non-profit organizations, and other groups to join in activities that will increase consciousness and prevention of prostate cancer. Clinicians, health professionals, and policy makers can play an active role in the application of such interventions on a pan-India level. Prostate cancer is most common in North America, northwestern Europe, Australia, and on Caribbean islands. It is less common in Asia, Africa, Central America, and South America. 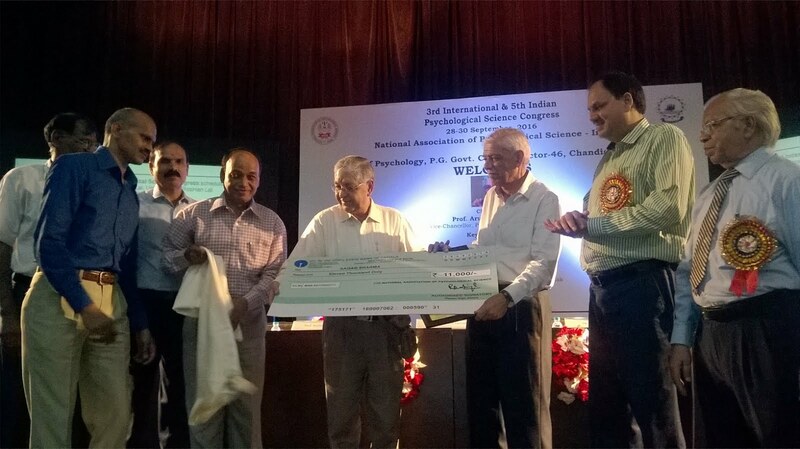 Chandigarh 28th September: The 3rd International and 5th Indian Psychological Science Congress (IPSC-2016) began in Chandigarh today. Prof Arun Kumar Grover, Vice Chancellor, Panjab University, Chandigarh inaugurated the three-day conference at PG Govt College, Sector 46, Chandigarh. Prof Grover also released the annual booklet of the congress and presented the lifetime achievement award to Prof Sagar Sharma for his exemplary work in the enrichment of psychology during his service at PU, Chandigarh. In his speech, Prof Arun Kumar Grover suggested to organize a public lecture under the conference so that local community gets involved in the process and the event gets more recognition. He also advised the post graduate colleges to aspire for autonomous status. That way the colleges can take individual decision and set their own agenda for further development. PG colleges can give a good competition to the universities. The psychological science congress is being organized under the aegis of National Association of Psychological Science (NAPS). Dr Rajesh Kumar, organizing secretary, said, "IPSC 2016 is a three day international conference proposed on 'psychological well-being' would explore practical ways to achieve well-being with conceptual clarity. The theme of the conference this year is 'peace and harmony' and the event is also supported by the Global Peace & Harmony organization." 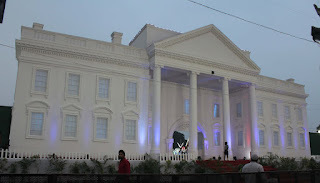 The researchers participating in IPSE2016 are representing Bangladesh, Nepal, Iran, Pakistan, USA, Spain, Nigeria,Ethiopia, apart from various parts of India like Goa, Karnataka, Jammu, Srinagar, Maharashtra, Tamilnadu, Bangalore, Mumbai, Gujarat, West Bengal, Tripura, Gangtok, Punjab, Haryana, Bihar, Rajasthan, Uttar Pradesh, Uttrakhand, etc. Dr Roshan Lal Dahia, Conference Director and Assistant Professor, Psychology Department, Panjab University, Chandigarh, said that this is an endeavour for the development, representation and advancement of different areas of psychology as a science. Chandigarh 28th September: The recent outbreak of Chikungunya and Dengue has gripped the nation with fear and panic. Chikungunya is spreading very fast in many parts of the country and there have been reports of death resulting from Chikungunya in some of the cities as per a news report, people are increasingly worried about the health and wellbeing of their loved ones. In a bid to make India Chikungunya Free, Dr Batra's™ Healthcare – India's leading chain of homeopathy clinics has announced free preventive doses across its clinics in India. Dr Batra's™ have always been proactive in helping society in such epidemics with homeopathic preventive medicines as part of their CSR initiative. Many scientific research studies point towards the benefit of Homeopathy as a curative and preventive treatment option for Chikungunya. Keeping this in mind, Dr Batra's™ Healthcare will be offering free oral doses to anyone who walks into any of their 235 clinics across India. Starting 21stSeptember, this preventive dose drive will go on for a fortnight – thus helping people across India combat this disease. Dr Bindu Sharma, Director- Medical Services, Dr Batra's™ Healthcare said that fighting Chikungunya is the need of the hour. We understand that people need to be well prepared for this crisis; hence we are offering free doses of preventive medicines across all our clinics in India, thus making this drive a stepping stone towards making India Chikungunya free. She further mentioned that for this outbreak, genus epidemicus (preventive homeopathy medicine) Bryonia, is very effective in preventing Chikungunya and thus we have ensured that this medicine is made available to all across India for effective control of the Chikungunya epidemic. Chandigarh 28th September: Ola, India's most popular mobile app for transportation, has rolled out its latest update for iOS 10 that will include Siri and Apple Maps integration. This integration makes Ola's growing focus on making cab booking even more accessible and convenient for iPhone and iPad users in India. Using just their voice, iPhone and iPad users running iOS 10 can simply say, "Hey Siri, get me an Olacab" to book their next ride. By updating to iOS 10 and installing Ola's latest app, users can now, Ask Siri to book you a cab using a wide range of options, including Micro, Mini, Prime and Lux and Book a ride without ever opening up the Ola app to track a ride's progress and view ride estimates and trip progress in a rich notification. Speaking on the development, Ankit Bhati, Co-Founder and CTO, Ola, said that technology is at the core of all our solutions aimed at providing enhanced mobility to our customers. Integrating our app with iOS 10 is a step towards redefining customer experience. We are proud to be one of the early adopters of Sirikit and Mapkit in the world and we are confident that customers using Apple devices will benefit from this refreshed experience.He further added that with this update, Apple users will also get access to Ola directly from Apple Maps when searching for their destination. To ensure a consistent experience across all Apple devices, Ola has also launched an Independent app on Apple Watch. Mobility needs in India are constantly evolving and innovation is at the heart of the solutions being built to solve for these needs. Ola's understanding of India and its customers enables it to roll out innovative solutions that help it stay ahead of the curve. Ola's mission of building mobility for a billion Indians is aided by a focused approach on delivering seamless customer experiences through innovative use of technology. Chandigarh 28th September: Asite Solutions Private Limited (ASPL), is proud to announce an Enterprise engagement with Wave Infratech, a real estate arm of the diversified business conglomerate Wave Group. Wave Infratech is one of the largest real estate developers in the country. Wave Infratech will adopt Asite ADODDLE platform for project-wide collaboration acrossthe organization under this Five-year agreement. Dinesh Kumar,CIO,Wave Infratech said that we're very excited to begin working with ASITE (Adoddle). He said that the Residential & Commercial space in India is expanding rapidly and for Wave Infratech to continue to exceed its customer expectations, we must be able to quickly and accurately manage and share information. Solutions like Asite (Adoddle) will enable our growing team of experts to consolidate their workflow for increased productivity. He further said that Asite is a key component of our strategic initiative to standardize project delivery worldwide. He added that Asite Adoddle provides an easy-to-use project environment that helps us proactively manage project data and communications with minimal effort – leaving valuable time for more creative pursuits and accountability for our project partners. Asite has wide and rich experience in meeting the needs of global EPCs for large, complex developments. Bathinda 28th September: Cargill inaugurated a new Rs.88 crore feed plant in Bathinda, Punjab in the presence ofthe Honorable Union Minister of Food Processing Industries, Harsimrat Kaur Badal and the Honorable Deputy Chief Minister of Punjab, Sukhbir Singh Badal. This new plant is testament of Cargill's commitment to support the growth and development of the booming dairy industry and its farming community in India. It will provide a consistently high quality, nutritious and safe feed to dairy farmers in Punjab, Haryana, Uttar Pradesh and Rajasthan. The plant will produce 10,000 MT of feed per month and feed on average 75,000 cows per day. 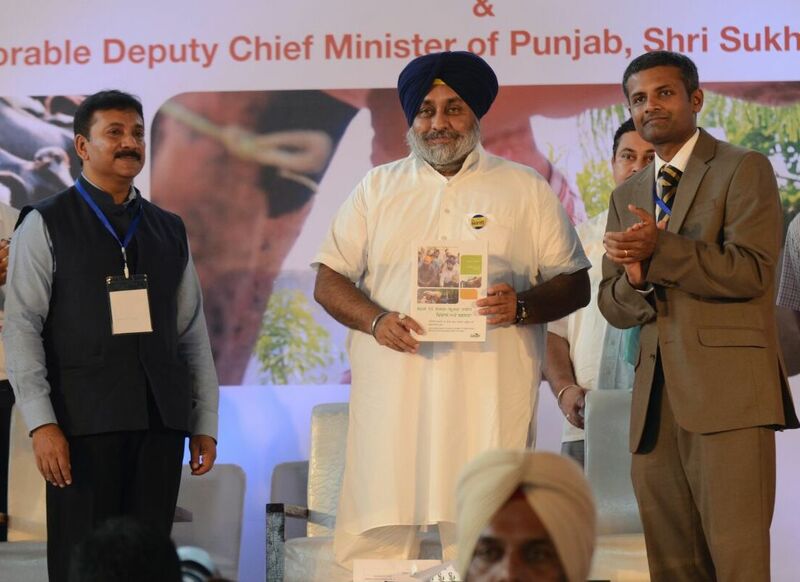 Honorable Deputy Chief Minister of Punjab, Sukhbir Singh Badal said that we believe this new dairy feed plant will provide quality feed and introduce latest knowhow which will help our dairy farmers earn better yield and contribute to the progress of Punjab. We expect Cargill to share their global experience with the Punjab farmers which will help put Punjab on a global map with other leading model dairy regions across the world. Achyuth Iyengar, Cargill's Feed and Nutrition Managing Director in India stated that we have been catering to the Punjab dairy farmer for over 10 years now. The continued trust of the dairy farmers in our feed products has encouraged us to set up this new facility. Through this plant, we will be able to expand our supply of high quality, safe and nutritious feed and services in the state of Punjab. Cargill prides itself as a company that places the safety of its employees above all else. During the 14 months of construction, a team comprising of 400 employees and contractors clocked in more than 10, 00,000 safe working hours with zero safety incidents. 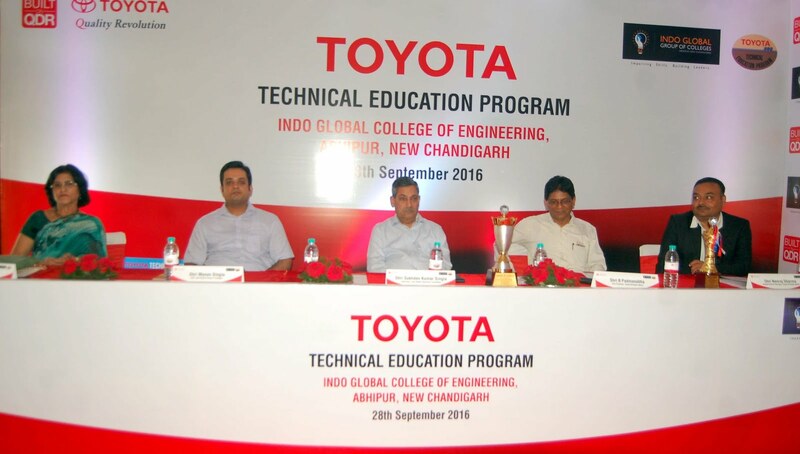 Chandigarh 28th September: Indo Global Colleges is partnering with Toyota for T-TEP to enhance skill sets and employability of the students. Under this program Toyota will offer of its distinctive training model for Automotive Service Advisor. Vice President, Customer Service Group, Toyota Kirloskar Motor, B. Padmanabha, Chairman, Indo Global colleges Sukhdev Singla were present at the moment. While Speaking at the moment B Padmanabha Vice President said that T-TEP program is successfully introduced in 53 countries by Toyota, which includes USA, Australia, Italy, South Africa, China, Vietnam and India and till now more than 5500 students have been trained under this training program and more than 3500 students have been offered employment opportunities at Toyota Dealerships across India. T-TEP Program create a pool of skilled manpower for the Automobile Industry .He further informed that We are committed to provide the best training to the students with hands on experience that will in turn benefit the industry as a whole. Sukhdev Singla said that T-TEP is a 1 year Program, introduces students to Toyota's advanced technology and service techniques. It also includes, on the job training, at Toyota's dealerships. As a part of this program, TKM will also train institute instructors in the latest technology, used at Toyota and the automobile industry. Toyota Kirloskar Motor intends to enhance the technical abilities and employability .In this way the program will benefit Polytechnics in building skillful Service Advisors for the Indian Automotive Service industry. Chandigarh 28th September: In a humanitarian endeavour, 69 family members and dependents of deceased former employees of the Punjab Education Department were inducted into the education system under various appointments. In a ceremony held here DGSE Committee Room, Punjab School Education Board Complex, Mohali Dr. Daljit Singh Cheema, Education Minister welcomed the new appointees and offered his support with a personal interaction with several new entrants. This move by the government aimed at providing some relief and consolation to those who had lost a near & dear one during their time as an active employee in the Punjab education system. Dr. Daljit Singh Cheema personally distributed the appointment letters to the dependents of the deceased. Amongst those inducted, 19 have been appointed as clerks, 2 Art and Craft teachers, 1 as librarian and 47 as Class IV. In addition to the appointments offered on compassionate grounds, Dr. Daljit Singh Cheema went a step ahead by sanctioning on-demand posting allotments as per the personal preferences of the appointees. He issued strict instructions to senior officials to ensure that all such pending cases be resolved within 1 month and all those dependents of deceased employees seeking active employment be given their appointment letters immediately. Dr. Daljit Singh Cheema stated that no one can compensate for the loss of their loved one but the department considers relieved after doing its duty of help the needy family. He interacted with the appointees personally and encouraged them to share their experiences and voice their grievances. The Minister further encouraged the appointees to revert to him with their feedback and assured them that in case of any problems, they can freely contact the senior officials who have been instructed to address their concerns immediately.